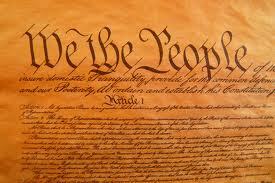 This essay is my personal experience in having had a lack of representation from my Federal Government. I write for The Tiburon Ark (my local paper), GreenExplored.com, and Breitbart.com. But at heart I am a Chemical Engineer. Actually I am a well-regarded Chemical Engineer who was awarded the 2011 Professional Development Award by the Northern California Section of the American Institute of Chemical Engineers. This award for a lifetime of work in Chemical Engineering has traditionally been bestowed on a distinguished professor at Berkeley or Stanford. On this basis, I believe I have standing as a Chemical Engineer. I did graduate studies in thermodynamics and have worked for over 35 years in applying Chemical Engineering. This work included manufacturing of cryogenic materials, solid state devices, and complex biological monoclonal antibodies and proteins. Based on the aforementioned capabilities one would think that my Congresswoman (Lynn Woolsey) the ranking Democrat for the house subcommittee, for science, space and technology might have listened to my numerous pleas. I requested a review the science supporting the “Obama-Chu energy policy” and I forewarned her that much “government money” would be wasted on what I termed as Betamax Technology. My Congresswoman has placated me and simply ignored my pleas. Worse still totally ignored my sage advice that could have been used for our collective good. She was not a high ranking Democrat in DC and she often acted as a submissive puppy dog of her party, however she was the ranking democrat on that important subcommittee and she could have acted forcefully on my apolitical concerns. My biggest disappointment was that she was my representative in my House of Representatives and she simply did not represent me. Thankfully, she will retire this year and I am hopeful that whoever assumes her chair will start to more ably represent not only myself but all other constituents in our congressional district. I did not solely ask my representative to convey my views on the wasteful funding of so called “green technologies”. I also continued to alert readers of my blog and newspaper articles as to waste going on in Sacramento and Washington DC. I hosted an internet radio show on Blog Talk Radio that exposed the gangrene nature of these “supposed green technologies”. One firm in particular caught my attention. This firm is now defunct but was then trading on the New York Stock Exchange and this firm was Raser Technologies of Utah. Raser had been touting that their modified Hummer achieved an efficiency of 100 MPG. Raser had excellent PR folks that convinced then Governor Schwarzenegger of California and Senator Hatch of Utah to publicize the brilliance of their improved Hummer. Their modified Hummer essentially mimicked a Fisker or a Volt by using a small gasoline engine which charged a set of lithium ion batteries. The batteries were also charged with a plug in from the electric grid. I reviewed the claims Raser was making. I quickly realized their claim of 100 MPG was when the vehicle undertook a trip that was propelled mainly by a fully charged battery and then was powered for a minimal remaining distance by running the gasoline engine. Raser then divided the full trip mileage by the small quantity of gasoline they used. Voila the behemoth vehicle was “capable” of achieving 100 MPG. Raser did not account for the energy used to charge the batteries which propelled the vehicle for the majority of the trip. This calculation was never told to then Governor Schwarzenegger or Senator Hatch. In fact Raser took these two important elected officials for a ride. 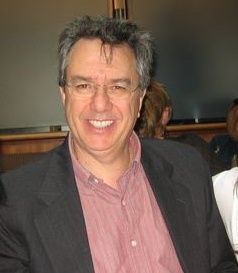 In July 2009, I had Raser’s VP of Marketing David West as a guest on my Blog Talk Radio show. It was apparent that the thermodynamic knowledge and he were distant cousins. I predicted Raser’s demise and it did occur soon thereafter. In January 2010, I followed Raser’s press release that announced that their CEO Kraig Higgenson was to be a witness at a committee hearing to be held in the US Senate on February 23, 2010. The hearing titled “Electric vehicles in the light duty automotive sector” was held before the US Senate Committee on Appropriations. For those who are interested here is the webcast of the proceedings of that hearing. Hearing that The CEO of Raser would present the fantasy of a 100 MPG Hummer at a US Senate appropriation committee hearing got my juices flowing. I knew I would likely not be called as an attending witness to the hearing. I then submitted an essay on the science behind lithium ion batteries as an outside witness to the hearing. I knew that this essay would become part of the record. This essay titled “The Thermodynamics and Economics of Lithium Batteries” has now become the “I told you so” event foretelling the debacle of electric and plug in vehicles. The debacle started with the demise of Raser Technologies, and then continued with the disastrous performances of ENER1, Fisker, Tesla, and A 123. One may ask: why a sole experienced Chemical Engineer could have been far more correct than all the minions of folks who benefitted from the lithium ion fake out? I think it is because I studied thermodynamics at Iowa State University in 1977 as a graduate student and I never sold out the laws of thermodynamics. I simply looked at the technology and without bias and I chose to report the science not the hope of the technology. In 2003 I had similarly written a book titled Hydrogen Hope or Hype? that simply explained energy and sustainability. Secretary Chu and his team at the Department of Energy (including Dr. Henry Kelly who also gave testimony at the February 23, 2010 Senate hearing) had this naïve and erroneous belief that the costs of lithium ion batteries would drop as had computer chips and LCD displays. Having worked on producing computer chips and LCD displays I knew that electrons do not take up volume but the ions of chemicals and the chemicals themselves do take up volume. I knew that to lower the cost of computer chips was not a problem constrained by thermodynamics and reaction kinetics. I also knew batteries are constrained by these basic chemical engineering principals. You see I knew that hope was not a strategy to lower costs! 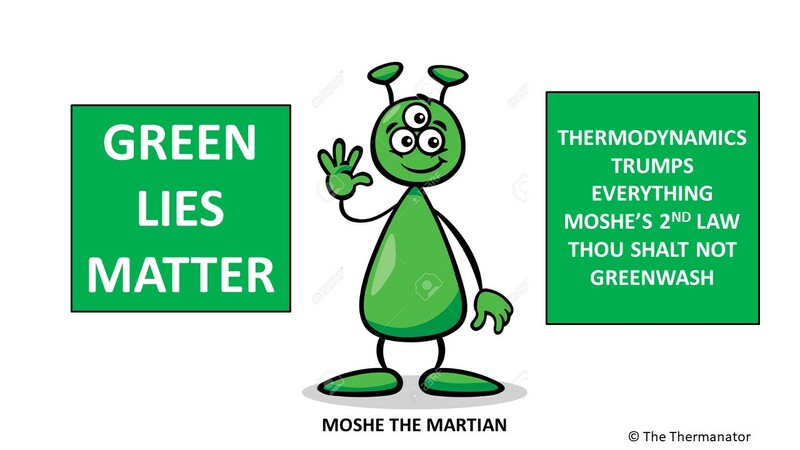 Unfortunately even after massive failure bordering on disgraceful waste of taxpayers’ money, Secretary of Energy Chu continues to place unbridled hope on continued cost reduction in green technology. In an article he recently coauthored in the prestigious journal Nature (Volume 488 August 16, 2012 pages 294 to 303) the Secretary admits the lithium ion batteries still cost $650 per kilowatt hour of usable energy to produce. Dr. Chu continues to believe the cost will drop to $150 per kilowatt hour by 2030. If the batteries have a production cost $650 per kilowatt hour, and the battery manufacturer needs a margin to remain in business, they have to sell the batteries to a car company for at least $800 per kilowatt hour. A car company like Tesla also has to make a margin on the sale of their car causing them to charge $1,000 per kilowatt hour in the battery pack of their car. If the base model Tesla S has a battery pack with 40 kilowatt hours, Tesla has to sell only the battery pack for $40,000. We will simply never have the $50,000 Tesla Model S for the masses. Dr. Chu you loaned Tesla almost a half billion dollars to produce the $50,000 car that cannot be produced with a profit. Profits sustain businesses! Clint Eastwood used the metaphor of an empty chair for the absent President. I have the feeling Mr. Eastwood would use the dim flickering of an almost dead flashlight losing charge as the metaphor of the Secretary of Energy and his dream of low cost lithium ion batteries. For me the election of 2012 is about representation. I expect the next President to listen to Science when it comes to Energy Policy. I hope my next Congressman (yes two men are running) will embrace the advice of a concerned citizen who has some wisdom to shine on the energy policy. Voting is important but representation is paramount. I do not want any more empty chairs or flashlights that are about to go out. I want the chairs to be occupied by capable leaders and I want the flashlights to shine brightly on a coherent and Science based Energy Policy. As a start I suggest that all who set energy policy read two items I have written. 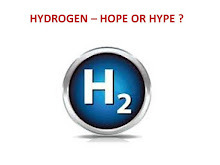 The first is the outside witness testimony to the US Senate from February 2010 and the second is Hydrogen Hope or Hype? my book on energy and sustainability from 2003. You see thermodynamics never changes but those who lead certainly will. 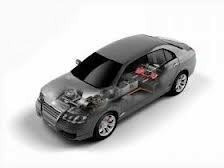 For several years I have been blogging that A 123 Systems and their lithium ion battery would fail. A 123 was an investor in Al Gore’s wonder car company, Fisker. Not only was it an investor, but it was also the battery supplier to the Fisker Flop. Steven Chu, our brilliant Secretary of Energy supported both A 123 and Fisker with our taxpayer money. He had this naïve belief that plug in battery cars would become a big player in the auto market and that A 123 as wells as Ener 1 would be able to compete with Asian manufacturers of lithium ion batteries in his dreamed-for massive market for electric cars. Today A 123 joins Ener 1 in bankruptcy. The lithium ion market has been brutal for US manufacturers. Several months back, Ener 1 went bust. They received Department of Energy (DOE) money. Then Valence Technology followed into bankruptcy (fortunately, they did not receive DOE money. Now A 123 is bankrupt, and they did receive a pile of money from the DOE. Two other US players in the lithium ion battery business are also in trouble. Boston Power just fired its US CEO, and the company is becoming almost fully Chinese. The Michigan factory of the Korean company, LG, that received DOE money has workers on furlough and has yet to provide a single US made battery to GM for its Chevy Volt. Nissan has yet to assembly a single Leaf in Tennessee after having been given over a billion dollars by Secretary Chu. Ford has all but given up on plug-in cars and Toyota has basically decided that traditional hybrids are its best bet. Why are all these lithium ion battery companies bankrupt and why are there so few plug-in electric cars on the road? The fools among us will again claim some sort of conspiracy to kill the electric car. The correct answer is that heavy, expensive, and weak batteries killed the electric car. Secretary Chu, writing recently in the prestigious journal Nature, is quoted as saying: “The current production cost of a vehicle battery is estimated to be $650 per kilowatt hour of usable energy storage.” (Nature, Vol 488, 16 August 2012, page 295). Tonight we have the second presidential debate, and tonight Gov. Mitt Romney should again bring up that Solyndra, Fisker, Tesla, and Ener 1 are failures that the administration bet its hopes and our money on--and lost. Romney can add a fifth example to his list, and that is A 123. Perhaps the company should not have taken the name of a popular steak sauce, as lithium ion batteries are a hamburger that is an empty bun. Lindsay Leveen blogs at www.greenexplored.com and has written a book on energy and sustainability entitled Hydrogen Hope or Hype?. “My ML320 (Mercedes SUV) has, at 290,000 miles and 14 years, been given "limited time to live" diagnosis by my friendly mechanic. He's a straight shooter so I'm inclined to get rid of it and buy something fun and invigorating. Lacking money for a Ferrari or other economical dream car, I happened to see a Ford C-Max hybrid (not the unreleased plug-in) and it seems to be a little nicer version of a Prius. It might be fun and patriotic for me to buy an "American Made" car. Lithium-Ion battery with a 10 year/150,000 mile warranty on the battery and all hybrid equipment - so if it doesn't spontaneously catch on fire, might be OK.
Tom prefers the styling of the C Max and far prefers the instrument panel on the C Max. Here is Tom’s response to my question of why not but a Prius? 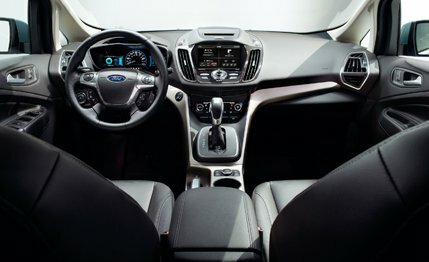 “I like the looks, especially inside, of the C-Max more than the Prius. The Prius dash is too nerdy for me - like driving an ATM.” Tom is referring to ATMs as automatic teller machines not as Audi TT Machine. Ford chose the lithium ion pack over the nickel metal hydride based on it being lighter and more compact. I also believe given the glut of lithium ion battery manufacturing capacity worldwide Ford got a bloody good deal on these batteries and probably is not paying much of a premium for the 1.6 kilowatt hour battery pack. The cost premium to Ford may be as low as a couple hundred dollars so why not save the mass and space and offer prospective buyers like Tom this advantage. The C max is estimated to achieve 47 MPG which is lower than the base Prius but higher than the Prius V. It seems like Ford has a stylish vehicle inside and out that is positioned between the base Prius and the Prius V and they might have a winner in the C Max. I hope for Tom that FORD now stands for Fun Optimal Reliable Driver and not Fix Or Repair Daily. Most large corporations now have sustainability initiatives and most now issue annual sustainability reports. Also many of these large firms hire high price PR firms to broadcast the message of the firm’s greenness. There is a significant amount of greenwashing going on in press releases. In these releases the firms claim to be green when in fact they are gangrene. I think we all consider BP to be in this category when they claimed to be beyond petroleum and yet caused the largest oil spill in US history. BP has pretty much dropped their Beyond Petroleum hype and is concentrating on cleaning up the Gulf coast. In this blog I will analyze two companies and their claims of greening their operations. Both companies are large and both companies chose to use expensive fuel cells to affect their intended greening of their operations. The first company is Mercedes the high quality auto company. Mercedes chose to change out 72 propane fueled forklift trucks in their plant in Tuscaloosa Alabama to run on hydrogen powered fuel cells. Mercedes teamed with Plug Power and Air Products and Chemicals for the project. I did a mass and heat balance comparing the carbon dioxide emissions of the two alternates available to Mercedes. Their first option was to have bulk propane delivered by truck to their plant and then fill the fuel tanks of the fork lifts with this liquid petroleum gas. I used the basis that each forklift uses 15 gallons a day of propane and the plant is in operation 360 days per year. Air Products produces hydrogen in New Orleans from natural gas and liquefies the hydrogen using electricity. Accounting for the carbon foot print of the natural gas, the electricity, and the diesel fuel to haul the liquid hydrogen from New Orleans to Tuscaloosa, I have estimated that compared with propane Mercedes has lessened its carbon footprint for the 72 forklifts by an approximate total of 1,700 tons per year. No doubt Mercedes will pay much more for the fork lifts powered by fuel cells and no doubt they will pay more for the hydrogen fuel than they would pay for propane. Mercedes gets the Green Machine’s nod of approval for this project. Air Products and Plug Power can also rightly claim they enabled Mercedes to lessen its carbon footprint. AT&T is my example of a company that thought it was greening its operations by installing fuel cells but actually increased its carbon footprint as well as its emissions of volatile organic compounds (VOCs) and increased its toxic solid waste. Bloom Energy managed to convince AT&T to become their largest non-utility customer for their infamous Boxes to generate onsite electricity. AT&T uses Fleishman Hillard, a world class PR firm, to positively position AT&T in the press. AT&T and Bloom had joint a press release to announce the event of AT&T installing 17.1 megawatts of Bloom Boxes. This is a very large amount of power generation and at a cost of $9 million per megawatt the whole program required an initial investment of over $150 million. Of course the Federal Government and the state of California paid as much as half of the $150 million in the form of tax credits and grants. The cost of the project is one of my beefs but the dirtiness of the Bloom Boxes is my real concern. I have previously reported based on the public filing of the permit application in Delaware each megawatt hour of power generated by a Bloom Box emits 884 pounds of CO2. The level of CO2 emissions that the US EPA reports for power purchased from the grid in California for the year 2010 is only 681 pounds per megawatt hour. Hence AT&T will increase emissions from 681 pounds of CO2 to 884 pounds of CO2 for each megawatt hour of power they use in California or by some 30%. Also based on the Delaware application Bloom submitted, one can calculate that the 17.1 megawatts of Bloom boxes will emit 8.2 pounds a day of Volatile Organic Compounds and will require over 3,600 pounds a year of solid toxic waste to be hauled to hazardous waste disposal sites. This is dirty energy that AT&T is now self-generating. Given the degree of greenwashing going on, I think the US needs an Engineering General that places a warning on the Bloom Box that states “WARNING - you can fuel some of the people some of the time but you cannot fuel all of the people all of the time with the contents of this box.” If the Tobacco Industry has the Surgeon General keeping them honest, then the Solid Oxide Fuel Cell industry needs the Engineering General to do likewise. Actually the Federal Trade Commission has jurisdiction over false advertising claims of environmental benefit. The FTC recently issued new green marketing guidelines to end greenwashing. I doubt this government agency will act when Colin Powell sits on Bloom’s board of directors and Al Gore’s business partners are investors. Note: I gave both AT&T and Fleishman Hillard ample opportunity to respond to my suggestion that they investigate their claims in the press release. I simply received no response from either company. Today (0ctober 2 2012) it was announced that Shai Agassi was fired as the CEO of Project Better Place after approximately half a billion dollars of losses in the hair brain scheme be an "operational" company that provides swapped out batteries to electric vehicle owners. The blog below was posted in December 2010 the day after Shai Agassi appeared on Charlie Rose to hype his approach to bring electric cars to the world. Here is a link to the Charlie Rose video of the interview. He stated that Better Place needed to market a larger car than the Nissan Leaf and hence they chose the Renault. If one set of lithium ion batteries for a plug in vehicle is not a dumb enough idea some guys have come up with the brainwave that multiple sets of lithium ion batteries should be used for a plug in vehicle. Why the need for multiple sets of batteries? So that one can pull up to a service station that has a robot that quickly extracts the on board battery pack and replaces it with a freshly charged pack. Forget that the first battery pack was unaffordable we can quickly change out that unaffordable pack for the next doubly unaffordable pack. This is the brainchild of a guy named Shai (pronounced Shy) Agassi and his company called Project Better Place. Well my name for his company is “Lost in Space” and his first name should be “Not So Shy” for the almost billion dollars he has raised from idiots in the investment and government community. Last night Not So Shy was on Charlie Rose on Bloomberg touting his brilliant idea and how the great State of California will soon have 50 taxis that run between San Francisco and San Jose that will use his Lost In Space technology. Great a bankrupt state will have 50 taxis out of a fleet of 20 million private vehicles with multiple sets of batteries that no one can afford. What really got the hair up on my back was when Not So Shy told Charlie Rose that he just met with the Brazilian Foreign Minister and suggested that Brazil use the ethanol the country produces to generate electricity and not use it for a liquid fuel for vehicles. Here is the link to that Charlie Rose interview http://www.charlierose.com/view/interview/11323 Not So Shy certainly has thermodynamic chutzpah. I have opined that ethanol as a transportation fuel is dumb, but at least Brazil produces its ethanol from cane sugar and actually has an economic model for ethanol fuel production. Shai here is a lesson from Thermodynamics 101 and Economics 101. Electric power in Brazil is valued at retail at about 8 US cents per KWh. Ethanol is valued at retail at $2.90 per gallon. There are approximately 22 KWh of energy in a gallon of ethanol, therefore as a liquid fuel ethanol’s value is 13 US cents per KWh. OK boy genius Mr. Not So Shy why would a firm take something that sells for 13 cents then lose half the energy generating power while spending tons of capital and then only get half of 8 cents or 4 cents for your product. This is the same economics as your dumb idea to have multiple unaffordable batteries for a car. Not So Shy does not really care about economics he cares about the environment of our planet and increasing carbon dioxide. Yes his mission is to save the world. His investors and partners include: A123 batteries, HSBC Bank, Lazard, Morgan Stanley, Renault, and Vantage Point Venture Partners. The only guy missing for the take off of Lost in Space is old Bernie who burned on the launch pad. I plead to my readers not to believe this junk science that is made of the same cloth as Bloom Energy. It is kind of sad that a guy as smart as Charlie Rose could not ask Not So Shy to explain the second law of thermodynamics and how a second set of lithium ion batteries from A123 that cost $50,000 for the Renault ne marche pas Affluence ZE makes any sense to anyone other than Not So Shy who is the grand wizard behind the Lost in Space company.